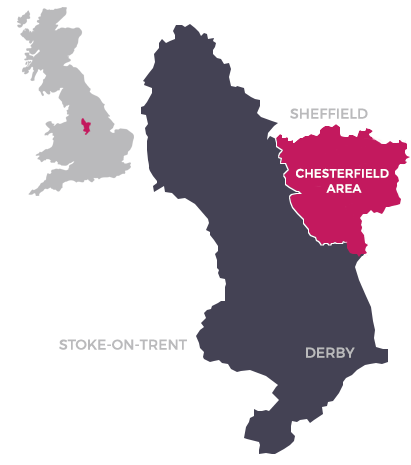 Come to the Chesterfield Area of Derbyshire where you're sure of a friendly welcome and a wide range of things to do. Take a day in Chesterfield itself to find out how the 'Crooked Spire' got its twist. Or go bargain hunting on Chesterfield Market every Monday, Friday or Saturday. Get a taste of history at Chesterfield Museum or spend an evening at the Theatre. Take a short break and explore the area - Chatsworth, Hardwick Hall, Bolsover Castle, Renishaw Hall and Gardens and the Peak District are just a few of the things to see in this part of Derbyshire. From historic houses to stunning countryside. Theatres to things to do with the kids. Search our amazing events in Chesterfield Area.